Recent addition for Taban Air: obtained from Brussels Airlines British Aerospace Avro 146-RJ85, reg. EP-TBG (cn E2289). Aircraft photographed by Mehrad Watson on 27MAR15 at Tehran - Mehrabad International (THR / OIII). 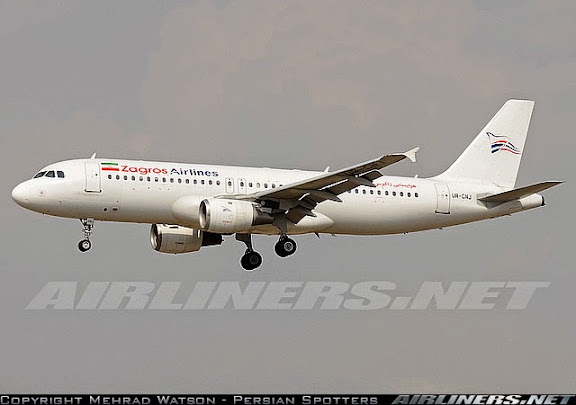 Recent addition for Zagros Airlines: obtained from Travel Service Airbus A320-211, reg. UR-CNJ (cn 311). 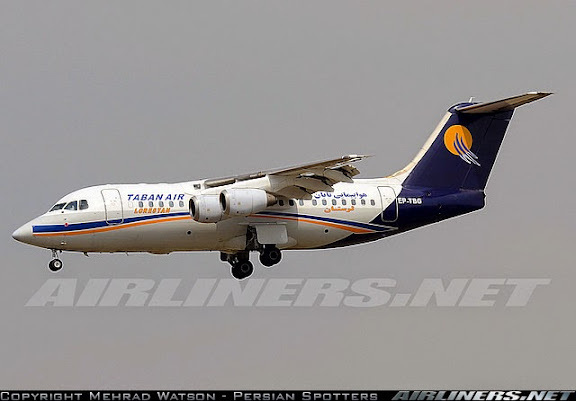 Aircraft photographed by Mehrad Watson on 19MAR15 at Tehran - Mehrabad International (THR / OIII). Looking at the Taban's av-146 jet tail, I can't help but find that company's logo to be ridiculously counter-intuitive .It's a pity that such a beautiful aircraft couldn't be adorned with a more elegant or thoughtful artwork .What/ became of Iran's ancient mastery of fine arts ?